Sarita comes to you! If getting to a residential workshop is difficult, then connecting with Sarita over the internet may be the perfect answer. We are catapulted into life without ever being given clear information about how to make love or how to have a deeply fulfilling relationship. And yet, the arena of sexuality and relating is of vital importance for a nurturing love partnership or a happy marriage. A living transmission of Tantra from an ancient text giving 112 methods of meditation, covering 12 facets of life. Imagine being able to unleash this ecstatic energy and transform it into a spectacular, unstoppable force that shapes your life and expands your consciousness! Wherever you are at in life right now, there are ways of making this vision come true. Whether it is awakening the senses or chakras, rekindling passion in your relationship, deepening your meditation, or finding self-love – there are Tantric tools and techniques that offer a path to your deepest fulfillment and awakening. Click for more information and how to buy. Now you can receive a transmission of Tantra over the internet. 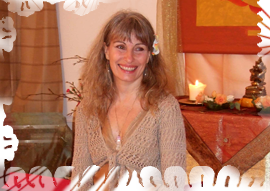 With Sarita’s on-line course you access video classes where Sarita introduces the different facets of Tantra and offers guidance in a selection of tantric meditations, often with demos. You receive direct guidance and a series of practices to integrate into your everyday life. You do the practice in your own time and can ask questions and give feedback to Sarita by email. The experience is profound and students feel they receive a teaching far beyond the words or the images. It’s easy to participate and there’s a free Introductory class which you can see before you buy. In this, Sarita introduces the Vigyan Bhairav Tantra and the 12 facets of Tantra and discusses who this series is suitable for (basically everyone from the complete novice to the Tantra adept!). N.B. The Online Vigyan Bhairav Tantra course is currently being updated. Please email online@tantra-essence.com so we can let you know as soon as it is available for purchase again.